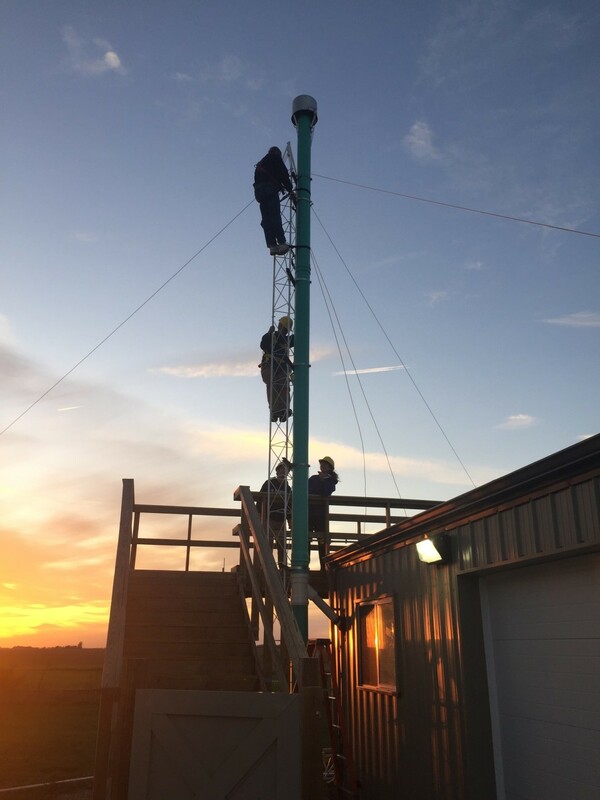 CHAMPAIGN, Ill., 1/17/18: After 23 years of data collection on atmospheric conditions at the Bondville Environmental and Atmospheric Research Site, a team from the National Oceanic and Atmospheric Administration (NOAA) worked with scientists at the Prairie Research Institute to move the monitoring system to a new temperature-controlled building. 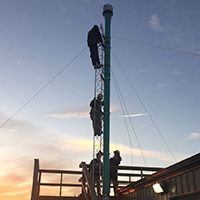 The team erected a new 10-meter tower, assembling the aerosol instruments and flow system. The new building will serve as a laboratory for research projects and data collection. The Bondville site is particularly important for its long-term record collection and its location, which is west of Champaign with no major urban areas immediately upwind of the station. The site has long been considered representative of a rural, mid-continental location. Of particular interest to NOAA is the tracking of aerosols, which are tiny particles suspended in the atmosphere. When particles become larger, they absorb sunlight and produce an appearance of haze. This research is important because it gives a better understanding of how particles influence the warming and cooling of our atmosphere. Preliminary data showed a declining trend in the scattering of light at the Bondville station due to the influence of aerosol particles in the atmosphere. This trend could be related to effective U.S. national and regional pollution control policies. Interestingly, many stations in other parts of the world do not show this downward trend in aerosols. This data demonstrates the importance of the Bondville station in understanding the atmosphere of Central Illinois and changes in our climate. For more information, visit https://www.esrl.noaa.gov/gmd/news/bondville_aero.html.